Ballistic missile defense (BMD) is both expensive and largely unproven;1 so on what basis might we judge its value? This article offers a US perspective about the utility of BMD in support of Korean security. At the regional level, it is a logical hedge in a modern security environment filled with long-range precision weapons. On the Korean Peninsula, it is a responsible counter against the growth and consolidation of North Korea’s nuclear weapons and missile programs. And within the US-ROK alliance, it increases the likelihood of US commitment to the ROK in the event of a crisis or conflict on the peninsula. Beyond these rational, material incentives to pursue BMD in the ROK, there is also an overwhelming ideational consideration: in light of Chinese warnings against pursuing certain types of BMD, officials in the United States and around the region may view ROK decisions about BMD as a leading indicator of loyalty in a long-term strategic competition between China and the United States. In this way, BMD in Korea is about far more than Korea. Missiles are a reality of modern warfare. The spread of cruise missiles, ballistic missiles, and unmanned aerial vehicles (UAVs) of various types enables militaries of any size or sophistication to strike others lethally, rapidly, with precision, and from great distances.2 Because much of the technology involved in these “guided munitions” is available commercially, barriers to acquisition and employment are low. Technologies like these give actors with malign intentions an unprecedented ability to do harm; in the hands of militaries, they can be tools not just of violence but of coercion that extract political demands from adversaries. In the 1970s, only the United States possessed the ability to strike quickly with long-range guided munitions because of the complex of supporting technologies it required: computing power, lasers, GPS technology, satellite communications, and long-range rockets.3 Today, each of these components exists in the private sector, and the weapons they support—ballistic missiles, cruise missiles, and UAVs—are part of the arsenals of every advanced military, including South Korea’s. A security environment in which one’s neighbors deploy guided munitions of various types is an environment that should logically favor offensive rather than defensive action in the sense that guided munitions make rapid, calibrated violence easier than at any point in military history.4 In this environment, BMD is one of very few military tools that help restore a balance between offense and defense because it is one of very few tools capable of countering guided munitions. None of these circumstances constitute cause for alarm, and none threaten South Korea today. But collectively and individually, they reveal to South Korea a real basis for disputes with neighboring states, who happen to possess multiple types of guided munitions, and some of whom are already developing next-generation hypersonic missiles.9 In future diplomatic contexts, does South Korea prefer to engage and negotiate with others knowing it is wholly vulnerable to their military arsenals? Or will South Korea feel more comfortable dealing with neighboring powers with a narrower military gap between them? BMD is a measure to narrow that gap without being inherently antagonistic toward others. For all the latent potential of regional security dynamics to threaten South Korean interests, it is North Korea’s conventional, nuclear, and asymmetric capabilities that South Korea’s military judges the most immediate threat, according to its annual Defense White Paper.10 North Korea’s conventional military power is large but eroding due to maintenance, training, and lifecycle challenges.11 Over the last decade, however, North Korea has signaled several shifts toward an asymmetric posture designed to impose costs on or extract political concessions from South Korea and the United States through unconventional means. At lower levels of friction these unconventional means have taken the form of drones, cyberattacks, and other forms of “gray zone” coercion.12 These actions to date have not included nuclear weapons or missile attacks of any kind, but they have taken place in the shadow of North Korea’s advancing nuclear and ballistic missile programs. North Korea has an offensively oriented military posture, and by its own rhetoric purports to have a “seven-day” asymmetric military campaign plan against South Korea.14 It is reasonable to expect that North Korea sees its missiles—conventionally armed or nuclear tipped—as part of such a posture and plan. It, thus, has the capability and an expressed intent to conduct strikes against the South under certain conditions. Rather than constituting a static threat, however, South Korea’s vulnerability to North Korea’s nuclear and missile programs grows as the capability improves. Absent an unforeseeable diplomatic breakthrough, there are only two operational counters available to South Korea to mitigate its vulnerability to ballistic and cruise missiles: preventive strikes against known and suspected missile sites and BMD. Of the two, the latter logically poses less risk of inadvertent escalation than the former, intercepting North Korean missiles only after launch, typically during the descent into “terminal phase” when a missile is near to detonating against a South Korean target. As long as North Korea’s nuclear and missile programs continue without external constraint, BMD remains a crucial source of threat mitigation, even though North Korea’s missile inventory will exceed South Korea’s BMD capacity for the foreseeable future. In recent debates about whether the United States should deploy the Terminal High-Altitude Air Defense (THAAD) system to South Korea,15 the scope of discussion has completely excluded the connection between improved US security and strengthened US commitment to South Korea. North Korea has made clear in word and deed that it intends to become capable of striking US targets with long-range ballistic missiles.16 To the extent that South Korea feels trapped between the fears of ally abandonment and entrapment, a common dilemma in alliances,17 it should be concerned that future risk-averse US policymakers might be deterred from taking actions against North Korea if there is a risk of retaliation against US territory. US abandonment today is unfathomable, but as North Korea improves the range and precision of nuclear-capable ballistic missiles, future risk of abandonment may increase. THAAD, the most advanced missile defense system in the US arsenal, stimulated much controversy in Korea after former USFK Commander, General James Thurman, stated publicly that the United States should deploy the system to South Korea.18 While THAAD may offer South Korea some improved protection against incoming missiles and much greater radar coverage, its greatest protective value is in the added security it offers the United States against North Korean missiles. A robust missile defense architecture in Asia that protects the United States and its allies from North Korean missiles will allow US policymakers greater latitude in crafting policy and holding steadfast to Korean security commitments. But to the extent the United States is vulnerable to either first strikes or retaliation coming from North Korea, US options will be conditioned by the prospect of the costs such strikes would impose. BMD systems like THAAD could help minimize the negative impact North Korea’s missile program could potentially have on US long-term commitments. US policymakers today are committed to Korean security, but we cannot know the risk propensity of future policymakers. US vulnerability to missile strikes should be seen from the Korean perspective as an undesirable structural pressure on future US decision-making. Sound strategic decisions are those that alleviate future structural pressures or expand future decision-making possibilities; vulnerabilities typically have the opposite effect, and advanced BMD can help minimize vulnerability to missiles. China has begun not simply resisting, but actively undermining certain elements of the international order that have existed since World War II, in direct contravention of US preferences.20 China seeks resolution of territorial disputes through bilateral rather than multilateral adjudication.21 It has undercut the World Bank and Asian Development Bank by offering the region an alternative for infrastructure loans.22 And it has called for an end to “Cold War era alliances” in favor of an “Asia for Asians,” implying a region without the United States.23 Whether Chinese preferences for regional order are more beneficial to middle powers is debatable, but less debatable is China’s willingness to challenge US preferences along each of these major dimensions of order. That big picture conflict of interests puts the United States and China in a long-term competition for regional influence regardless of amity or cooperation that may exist in other aspects of the bilateral relationship. Sociologists have explained that individuals can carry multiple identities simultaneously, and even adhere to sometimes contradictory sets of norms, which create cross-pressures on decision-making.26 So it is with relations among states. China’s security preferences on BMD in Asia contradict those of the United States. Such cross-pressures help make sense of why there is a controversy about BMD in South Korea in the first place. South Korean foreign policy decisions take place in a web of multiple, sometimes competing relationship considerations, and it cannot weigh the costs and benefits of policy decisions apart from that web of relationships. But while South Korea must maintain political relations with both China and the United States, that does not mean it must take an equidistant position between the two; on security matters, the United States is South Korea’s guarantor while China is a historical invader (daenoam). Although from the US perspective BMD is principally about North Korea, China has chosen to frame it differently, applying political pressure to South Korea not to respect the logical preferences of its other relationships. Only South Korea can decide how it will judge the importance of BMD, but as it does so it should be aware that outside powers—especially China—view it as an indicator of where the region might be headed. BMD is not a cure-all for managing Korea’s security environment, and technology cannot be a permanent solution to problems that are fundamentally political. Even if South Korea chose to frame BMD decisions narrowly in terms of a net assessment of the local military balance, and even if it maximally invested in maintaining a large BMD inventory with cutting-edge technology, its BMD capabilities would still not be sufficient to offset North Korea’s missile capabilities, and that offense-defense gap is on a trajectory to worsen with time. But these are not reasons to avoid BMD, and whatever reservations might exist in South Korea about BMD, it cannot logically be an all or nothing issue but rather one of degree—South Korea already owns a modest BMD capability. Under progressive governments in South Korea, BMD took on a taboo meaning, and subsequently the ROK initially showed a degree of deference to China’s vocal concerns, though that may be changing due to Beijing’s heavy-handedness. But military-technical trends in Korea’s regional security environment make BMD more salient than in the past. North Korea’s capabilities, intentions, and force posture place growing emphasis on ballistic missiles, cruise missiles, and UAVs. BMD’s ability to offer protections for the United States helps long-term alliance credibility. And in abstract debates about the future of the Asian security order, Korean BMD decisions have become an indicator of US versus Chinese centrality in Asia. While no substitute for either strategy or diplomacy, from the US view, BMD is an increasingly important complement to a larger South Korean and alliance security hedge. Dr. Van Jackson is a Visiting Fellow at the Center for a New American Security and Council on Foreign Relations International Affairs Fellow. The views expressed are his own. 1. 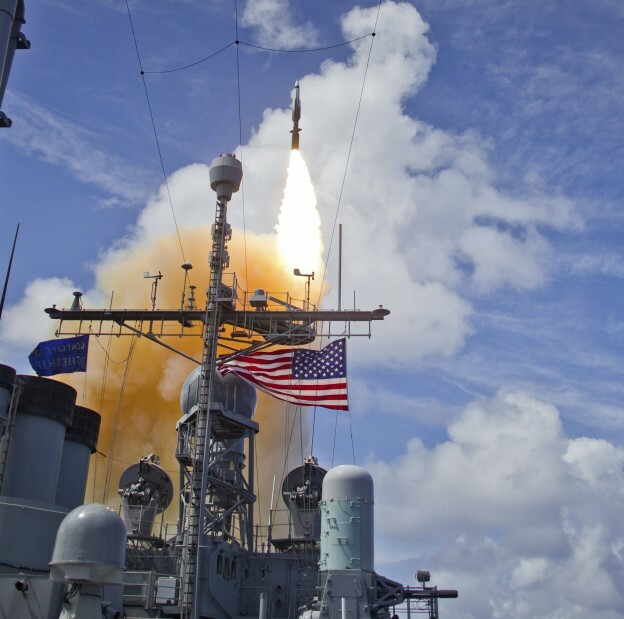 Van Jackson, “Don’t Count on Missile Defense for Asia,” Real Clear World, July 8, 2009. 2. Robert O. Work and Shawn Brimley, 20YY: Preparing for War in the Robotic Age (Washington, DC: Center for a New American Security, 2014). 3. Ben FitzGerald and Kelly Sayler, Creative Disruption: Technology, Strategy, and the Future of the Defense Industry (Washington, DC: CNAS, 2014). 4. Robert O. Work and Shawn Brimley, 20YY. 5. Peter Hays Gries, “The Koguryo Controversy, National Identity, and Sino-Korean Relations Today,” East Asia 22, no. 4 (2005): 3-17. 6. Saeed Ahmed, “South Korea Expands Air Defense Zone in Reaction to China,” CNN.com December 8, 2013, http://www.cnn.com/2013/12/08/world/asia/china-korea-air-defense-zone/. 7. Van Jackson, “Putin and the Hermit Kingdom,” Foreign Affairs, February 22, 2015. 8. Martin Fackler, “Japan Shifts Away from Pacifism as Anxiety in the Region Rises,” The New York Times, April 1, 2013. 9. Zackary Keck, “Russia Will Build First Hypersonic Missile before 2020,” The Diplomat, November 14, 2014, http://thediplomat.com/2014/11/russia-will-build-first-hypersonic-missile-before-2020/. 10. Ministry of National Defense, Baekseo (Seoul: Ministry of National Defense, 2014). 11. Office of the Secretary of Defense, Military and Security Developments Involving the Democratic People’s Republic of Korea: Annual Report to Congress (Washington, DC: Office of the Secretary of Defense, 2014). 12. Van Jackson, “Across the Other Pond: Opportunities and Challenges in the Asia Pacific,” Prepared Statement before the House Committee on Foreign Affairs, Subcommittee on Asia and the Pacific (February 26, 2015). 13. Joel S. Wit and Sun Young Ahn, North Korea’s Nuclear Futures: Technology and Strategy (Washington, DC: US-Korea Institute, 2015). 14. Jeong Yong-Soo and Ser Myo-Ja, “Kim Jong-un Ordered a Plan for a 7-Day Asymmetric War: Officials,” Joongang Ilbo, January 8, 2015. 15. “Controversy over THAAD is Getting Political,” Hankyoreh, March 12, 2015. 16. Sam Kim, “North Korea Boosting Ability to Attack South, U.S.,” Bloomberg Business, January 5, 2015. 17. Glenn Snyder, “The Security Dilemma in Alliance Politics,” World Politics 36, no. 4 (1984): 461-495. 18. Tony Capaccio, “Kim Jong-Un Ascent Increases ‘Miscalculation’ Odds, Thurman Says,” Bloomberg Business, June 28, 2011. 19. “China Warns S. Korea against Deploying U.S. Missile Defense System,” Yonhap, February 5, 2015. 20. Evan Feigenbaum, “The New Asian Order,” Foreign Affairs, February 2, 2015. 21. “China Reiterates to Resolve Territorial Disputes via Bilateral Negotiations,” Xinhuanet, April 26, 2013, http://news.xinhuanet.com/English/china/2013-04/26/c_132343314.htm. 22. “Three Major Nations Absent as China Launches World Bank Rival in Asia,” Reuters, November 5, 2014. 23. Shannon Tiezzi, “At CICA, Xi Calls for New Regional Security Architecture,” The Diplomat, May 22, 2014, http://thediplomat.com/2014/05/at-cica-xi-calls-for-new-regional-security-architecture/. 24. Sang-Hun Choe, “U.S. Agrees to Let South Korea Extend Range of Ballistic Missiles,” The New York Times, July 11, 2013. 25. Bill Gertz, “China Works to Block U.S. Missile Defense Deployment,” The Washington Free Beacon, March 9, 2015. 26. Clay V. Brittain, “Adolescent Choices and Parent-Peer Cross Pressures,” American Sociological Review 28, no. 3 (1963): 385-391; Cary R. Covington, “Building Presidential Coalitions among Cross-Pressured Members of Congress,” Western Political Quarterly 41, no. 1 (1988): 47-62.